High-speed analog input module for high-speed sampling. While three-wire RTDs are widely used in many fields such as research institutes to manufacturing, some applications require higher level of precision and accuracy that is only possible with 4-wire RTDs. A 4-wire RTD is the sensor of choice for laboratory applications where accuracy, precision, and repeatability are extremely important. To satisfy this need, Yokogawa has released a 4-wire RTD/resistance module for the SMARTDAC+. GX series: Production of iron and steel, petrochemicals, chemicals, pulp and paper, foods, pharmaceuticals, and electrical equipment/electronics; water supply and wastewater treatment facilities. GP series: Development of home appliances, automobiles, semiconductors, and energy-related technologies; universities; research institutes. GM series: Both of the above target markets. 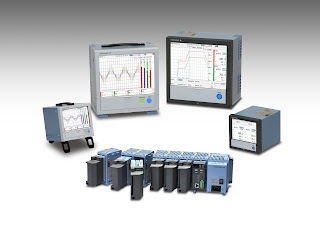 For more information on the SMARTDAC+ GX/GP Series Recorders & GM Series Data Acquisition System contact Miller Energy at (800) 631-5454 or by visiting the company website.